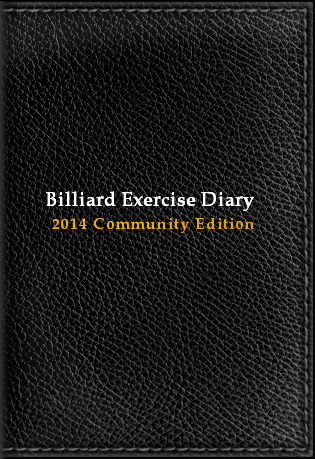 • Added a new training method "ONE-CHANCE". • You can group pages. For example, "Warm ups", "Stroke exercise", "Homework". • You can find a page quickly using groups. • "Write report in HTML" now supports user defined exercise groups. • Added a new skill level icon "IN-PROGRESS". • Refactored core software elements for further development. 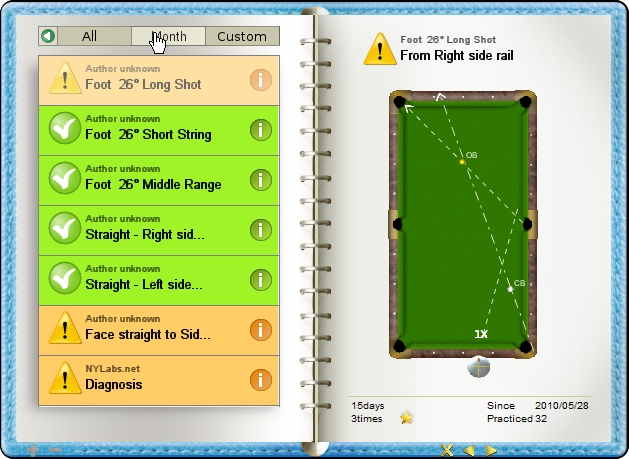 • Step by Step tutorial "Secrets of Billiard Revealed"
If you are already a good pool player, you'll find out this is one of the most useful training management softwares in the world. If you are a beginner, this will be your good start point to play like pros. 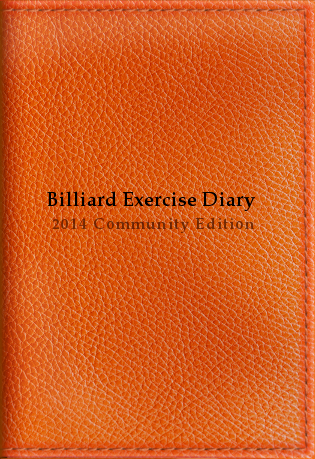 Billiard Exercise Diary supports writing your own exercise pages, like many good players would do with paper and a pen. You can spy your opponent's play, find secrets to improve your skill on Google and Amazon, or listen to good coaches. 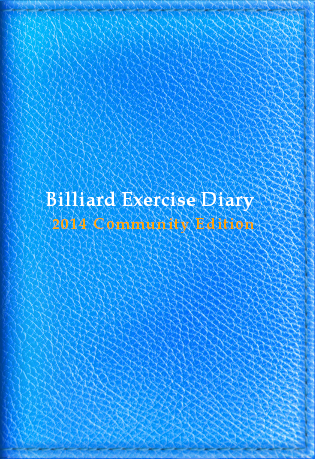 Billiard Exercise Diary also supports auto generate pages which enables you to practice standard shots quickly and easily. If you are a beginner(s), we strongly recommend you to find one or more good coaches. A good coach watches your play very carefully, and suggests what you need, at the right time. Nothing can be better than a good coach. 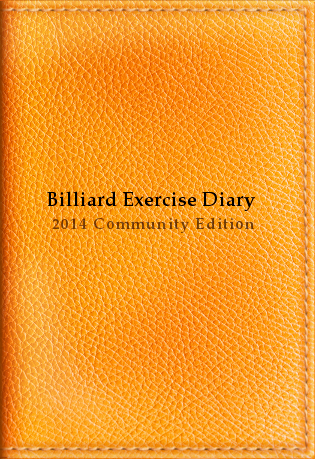 Once you decide the right exercises to do, Billiard Exercise Diary will support your improvement strongly. Good players usually like to teach. Some good coaches are not a good player. If you ask, they will teach you. • 1 page "Quick Starter Guide"